I teamed up with four talented (and beautiful–I’m getting like Sam Jenkins) mystery writers to produce an eBook anthology to generate money for the charity Doctors Without Borders. All proceeds will be donated. Edited and published by Jen Blood. Prospect, Tennessee Police Chief Sam Jenkins receives two reports of UFO sightings in three days. The gritty ex-New York detective doesn’t believe in coincidence…or space aliens, but he can’t find anything to explain why people claimed to see a glowing spaceship and little green men—until he sends Sergeant Stan Rose and Officer Junior Huskey out at the same time of night when the supposed aliens were seen. 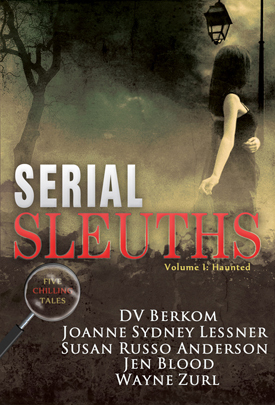 They call in a startling discovery and the investigation begins.